SYLHET, July 11: Farmers in Sylhet region are in great trouble for not getting fair price of paddy at open market. Normally paddy price go up a little due to easy transportation by boat in rural areas, especially on the lower region and others during the monsoon almost every year. On the other hand many of them are unhappy due to poor target of paddy purchase at the government depots by the food department this year. Although there had been a good harvest of Boro paddy, the food department started their paddy procurement, much late when most of the farmers had sold out their produce for meeting immediate needs and to repay the loans to the rural investors. Even then many farmers were expecting selling their paddy to the government at better price, but it disheartened them due to poor target and slow process of buying by food officials, many people alleged. They also complained about harassment of farmers at the purchasing centres on the plea of poor quality paddy. However, an official denied it saying, we have to ensure quality and dry paddy for storage at the government depots. 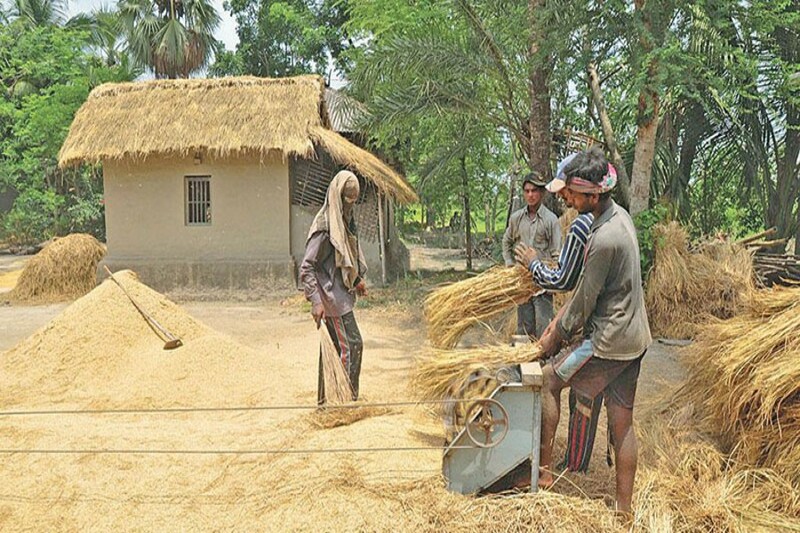 As per decision, food department is buying only one ton paddy from a farmer with the target of procuring only 6,000 tonnes from Sunamganj district while it is 3,000 tonnes from Habiganj district, the official informed. Although there had been a good harvest all over the region, the Sylhet and Moulvibazar districts were dropped from the procurement this time. Contacted, Regional Controller of Food, Sylhet at the divisional office Md. Anisuzzaman told this correspondent there had been space shortage at the depots in Habiganj as well as in Sunamganj district. The slow buying process is mainly due to this, while the official didn't tell the reason for dropping Sylhet and Moulvibazar districts from the programme. However, the space problem may be resolved in August, he added. So far 1500 tonnes of paddy had been purchased in Sunamganj district while it is 262 tonnes in Habiganj, the official said this afternoon. Per kg price of paddy had been set at Tk 26. However, it would continue till the end of August.